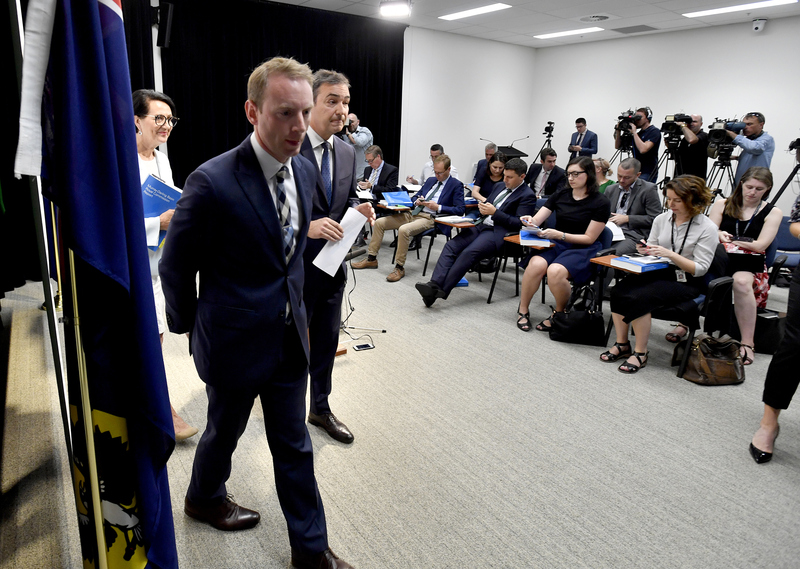 Steven Marshall’s Liberals have been happy to capitalise on several ALP-initiated projects since taking office, but it’s a Labor trait the Premier used to criticise – a penchant for spin – that’s become a hallmark of his government. I don’t want to jinx anything here, but the last time I was sacked from a job was way back in the late ‘90s when I did the walk of shame from North Adelaide’s iconic Jojo’s Pizzeria to the pub across the road to reflect on my apparently questionable work ethic. Given the parlous – and, this week, well-documented – state of modern media, this fact alone is a minor miracle. But while I’m ill-equipped to comment, I’d imagine when you leave a gig in less than propitious circumstances that, over time, one would feel a strange set of conflicting emotions. On the one hand, you’re kind of hoping it all goes wrong for whoever a) sacked you or b) replaced you. But on the other, you’d probably prefer that they don’t completely undo all the hard work you’ve put into the role, before you were removed from it. In that vein, I’d guess the mood within the SA Labor Party these days would be best described as ‘ambivalent’. On the one had, they’ve been turfed from office, and the last published polls suggest their successors are enjoying the kind of honeymoon one only gets after a 16-year courtship. But on the other, at least the fruits of those 16 years continue to ripen. Because the Libs continue to joyfully attend sod-turnings, ribbon-cuttings and photo-ops to celebrate the realisation of projects the Labor Party set in train. While all the while complaining about having to ‘fix the Labor mess’. This, of course, is the benefit of fresh incumbency, and one enjoyed by Labor in its early years in office (‘Media’ Mike Rann did, at least, have the good grace to invite John Olsen to the opening of The Ghan in 2004). The cavalcade continued this week, with the Libs revelling in the first crop of students at the new Adelaide Botanic High School, a project basically created under Labor’s watch (though to be fair, the Libs had long been calling for such a facility to be built). And yet, the same day, the Libs returned to their ‘fixing Labor’s mess’ narrative, with their long-awaited announcement that they would “scrap” the contentious electronic patient records scheme EPAS. “EPAS goes as electronic medical records program overhauled”, ran the headline of a media release disseminated to reporters at a post-cabinet press conference. “The Marshall Liberal Government will roll out a new electronic medical records system for South Australian hospitals after the former Labor Government’s failed Enterprise Patient Administration System debacle,” the release read. This was duly tweeted out by assembled reporters rushing to break the news: EPAS was dead, it was no more, it had ceased to be, it was an Ex-Patient Administration System. The problem was, it wasn’t. 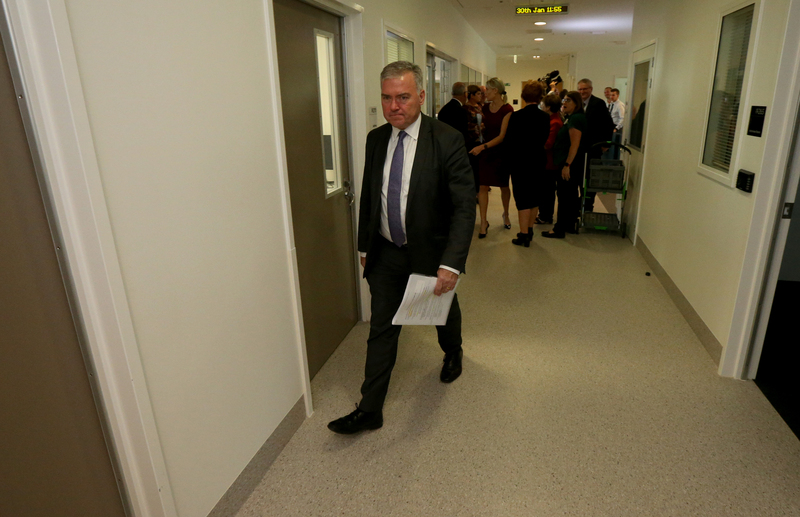 Even a cursory reading of the accompanying independent report on which Health Minister Stephen Wade’s decision was based shows that there was no appetite to go back to the drawing board. And, indeed, the only sense in which EPAS was being dropped was the suggestion that it should be referred to using the existing names of its underlying elements – Sunrise EMR (Electronic Medical Record) and Allscripts PAS (Patient Administration System) – elements which “every effort should be made to optimise”. 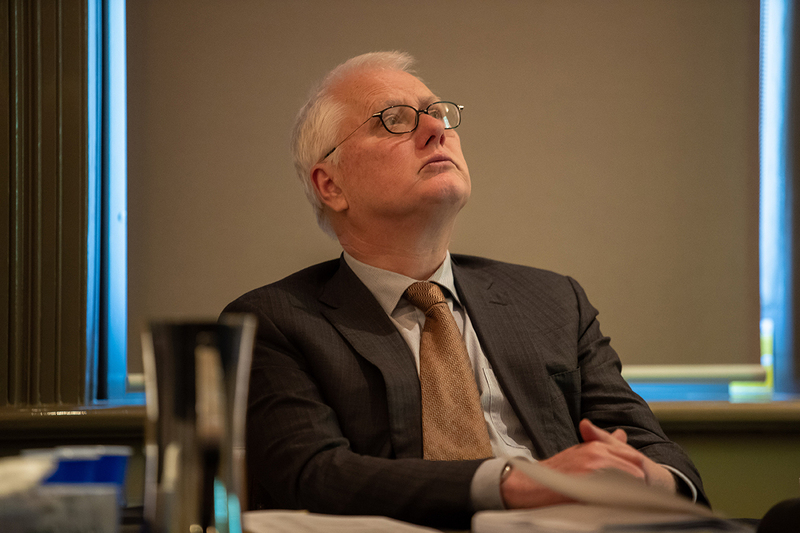 Which, it must be said, represents a very broad reading of the inquiry chaired by former Telstra Health managing director Shane Solomon – who literally told the assembled media the fundamental problem was “not about the software – it’s all about the clinician engagement”. Indeed, nowhere in the final report does the word “failure” appear. It was, in fact, the kind of report that, had Labor still been in office, it could have actually used to vindicate its persistence with the contentious software. Anyway, it mattered little, because Twitter now is what the daily paper once was in decades past – the forum that frames the narrative; so the “scrapped” misnomer stuck regardless. Which tells us two important things. Despite complaining about it for years, the Libs are continuing Labor’s EPAS. Despite complaining about it for years, the Libs are continuing Labor’s penchant for spin. This was equally evident in the days leading up to yesterday’s release of Bret Walker SC’s Royal Commission report, which was expectedly damning of most aspects of the Murray-Darling Basin’s governance and unexpectedly damning of recent “capitulations” by the Marshall Government. Coming in for particular censure was Environment and Water Minister David Speirs, who in December endorsed new criteria proposed by the upstream states that would veto new water saving projects unless their proponents could prove they wouldn’t reduce the overall productive capacity of an irrigation area, directly increase the price of water or cause rural job losses. At the time David Papps, the former Commonwealth Environmental Water Holder who retired last year, noted the new criteria would effectively kill off any chance of recovering the extra 450 gigalitres of environmental flows agreed to under the (also-damned) Murray-Darling Basin Plan in 2012. “It can be inferred that the South Australian Government’s agreement to the Agreed Criteria was only reached on the basis of a political compromise,” he wrote on page 414 of his 746-page report. As they say in the classics, wow. Just to sum up: Speirs was singled out for criticism in the report of an inquiry that began before he was even in government. That’s quite some achievement. He had nothing whatsoever to do with the historical reasons for its establishment, and yet he’s been deemed to have sold his state literally up the river. And this, after all, isn’t coming from some disgruntled former bureaucrat, an irate landowner or a politician with a vested interest. It’s the highly-qualified silk we’ve paid $10,000 a day and around $1 million over a year-and-a-bit to make a considered determination. How do we know he’s been paid that much? Well, because the State Government keeps telling us. They told us back in August last year, tut-tutting about the budget impact of Labor’s profligacy, and they told anyone who’d listen in the days leading up to the report’s release. “Many South Australians will be annoyed,” Attorney-General Vickie Chapman huffed to The Advertiser about the Commissioner’s pay packet. For the record, the budget for the Royal Commission was $8.45 million – it came in at around $5.5 million. If only all government expenditure could be so profligate. “Every Royal Commission has a cost associated with it,” he pondered, before lamenting that “we were expecting originally a report that was going to deal with water theft”. A Government so deliberately undermining the credibility of a Royal Commission – moreover one that it supported in Opposition – on the eve of its Big Reveal is something I’ve not seen before. It was clear from the get-go that the report would take some skin off the Federal Government, but heckling on behalf of your partisan colleagues seems an odd political gambit, particularly given those colleagues’ current standing in the polls. So did the State Government know it would come in for severe criticism itself? Chapman wouldn’t say yesterday, merely noting that Walker had made “some statements” in recent weeks, which she deemed “red herrings”. “The issue is what has SA signed up to… is there potentially a challenge in relation to some of the legalities?” she went on. In times gone by, the kind of criticism copped by Speirs in a Royal Commission report would have prompted Marshall to call for a ministerial resignation, but instead he threw his entire cabinet behind him. “What David Speirs negotiated [got] everybody back to the table… so it was a position supported by Cabinet and it was the right decision,” he declared. It should be noted that Marshall had to step in for the 7.30am Adelaide broadcast because Speirs wasn’t available, as he was doing an 8.30am interview in the Riverland, where they have no phones, or something. Still, at least it was a hard-hitting interview, with Speirs going head to head with… um, his cabinet colleague Tim Whetstone, who ate up valuable airtime warmly congratulating him on his handling of the negotiation that a Royal Commissioner deemed in likely contravention of the ministerial code of conduct. It’s all a matter of perspective, I guess. Speirs casually dismissed Walker’s criticism with the ingenious explanation that it wasn’t a ‘finding’ or ‘recommendation’ as such, but merely “commentary” within the report’s multitudinous pages. So that’s fine then. Still, Labor types must be wistfully watching all this and pining for the days they were able to spin such nonsense, and with so little consequence. 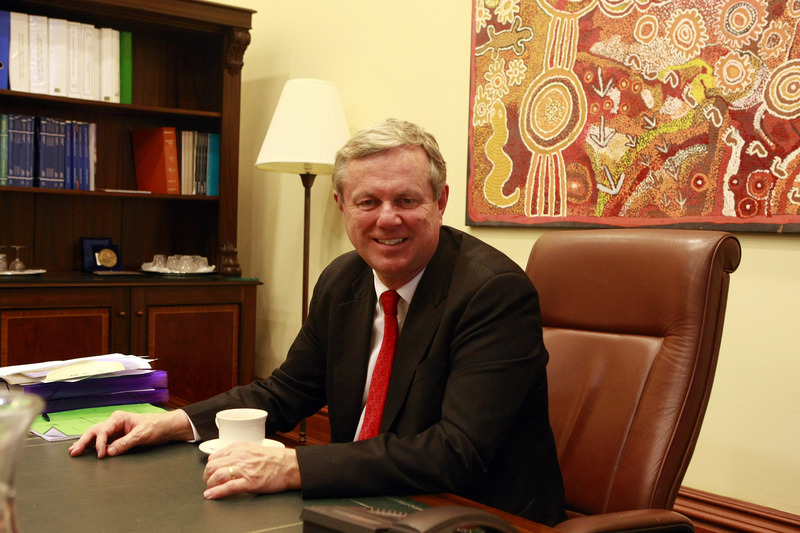 Because, of all the many things – from new schools to EPAS – the Libs have inherited from the former Government, its penchant for spin is emerging as the Marshall administration’s most valued asset. That’s both the consolation and the curse of losing your job – when the next guy takes all your hard work… and uses it at your expense. Tom Richardson is a senior reporter at InDaily.